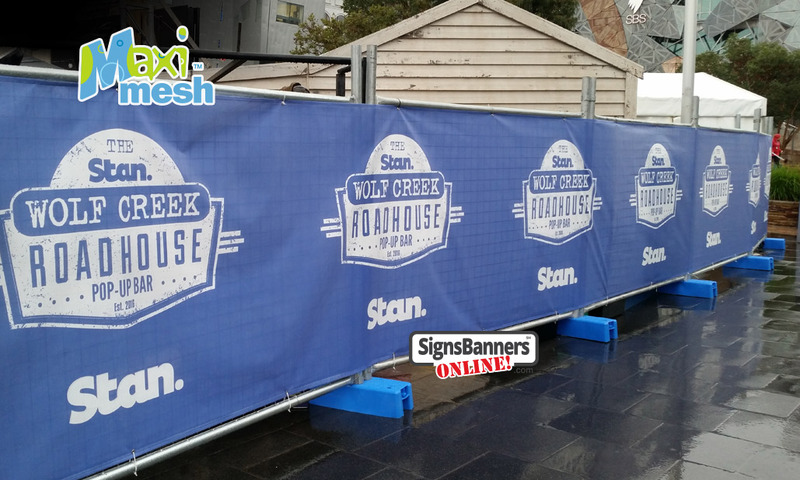 Details: Mesh Fence Banners are printed on quality 11oz mesh with outdoor waterproof grade substrates and with genuine UV fade resistant ink. 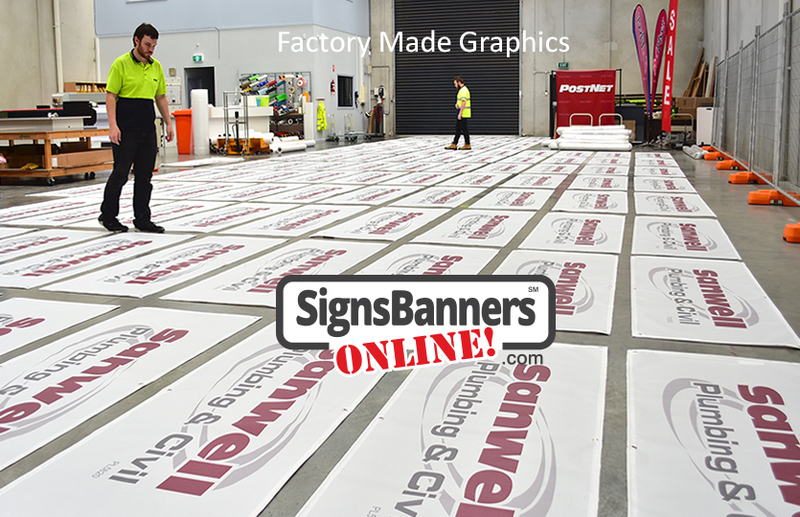 69" wide x 50" high. 83% BlockoutIdeal for Finishing Trades/Contractors. 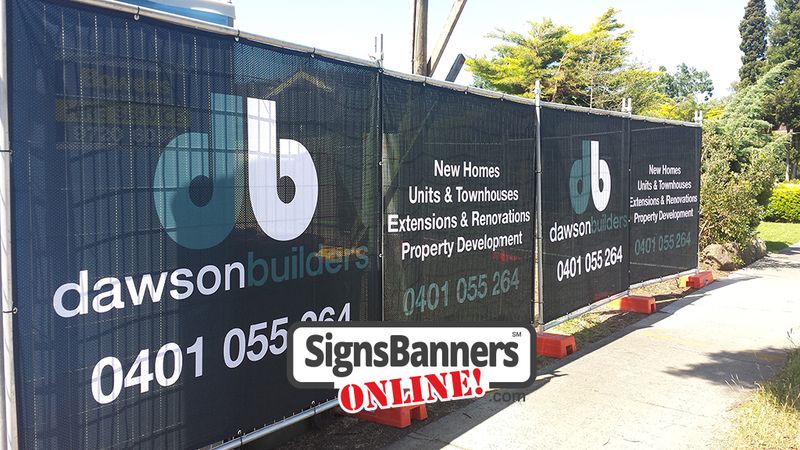 Roll up and take from site to site. Special Offer - Was $44.20 ea. 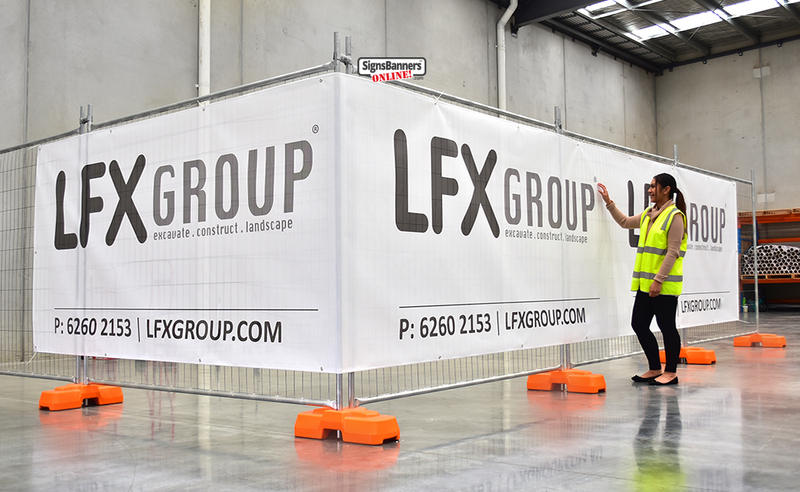 69" wide x 50" high Maxi-Mesh Banner Sign. 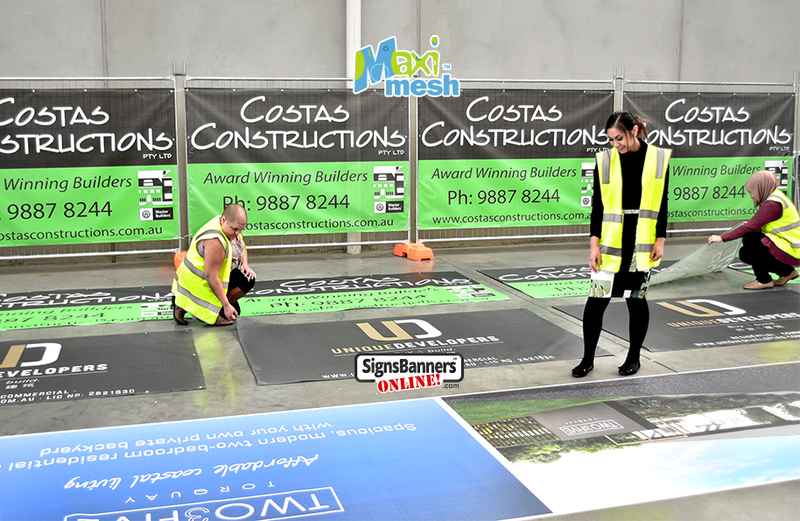 Mesh Banner Includes printing with your logos or insignia, double edging and SBO's famous never rust stainless grommets. Ready to use. Easy to install. 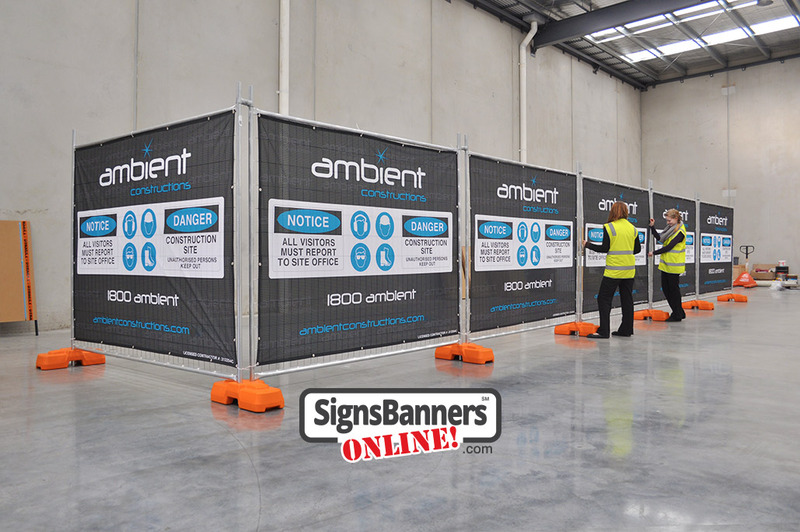 Suits outdoor advertising sign for temp fence. Genuine 5yr ink. Includes Tax. Special Offer - Was $46.04 ea. Special Offer - Was $47.20 ea. 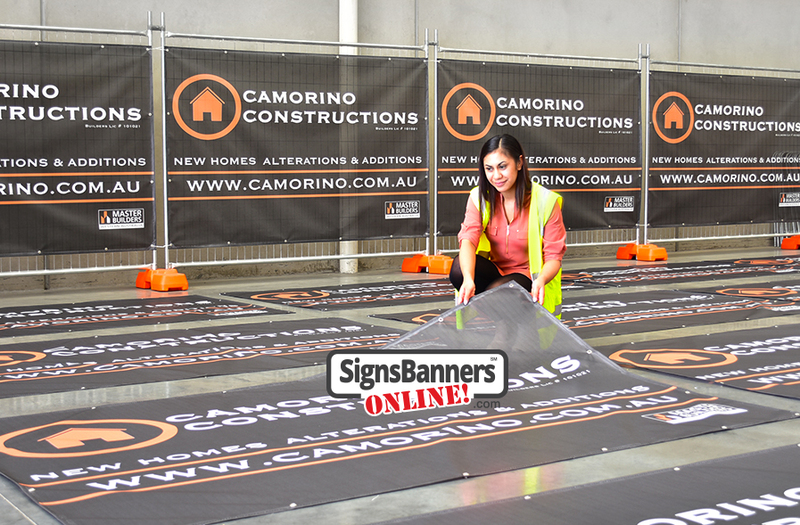 69" wide x 50" high Maxi-Mesh Banner Sign. Includes printing with your logos or insignia, double edging and SBO's famous never rust stainless grommets. Ready to use. Easy to install. Suits temp fence. Genuine 5yr ink. Includes Tax. 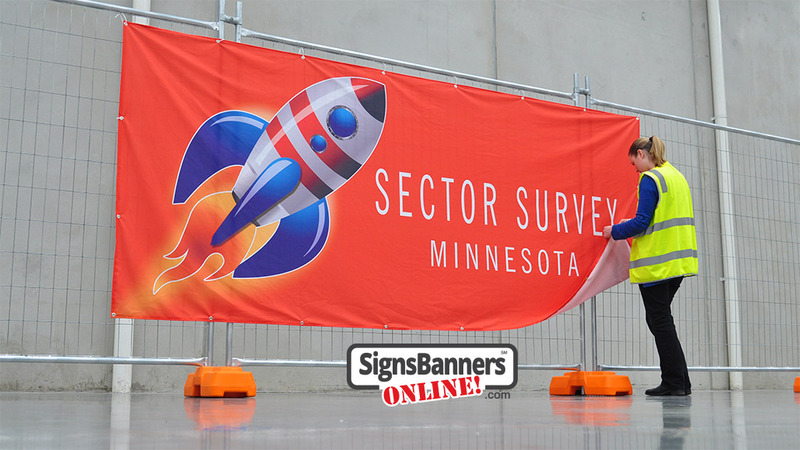 92" wide x 61" high. 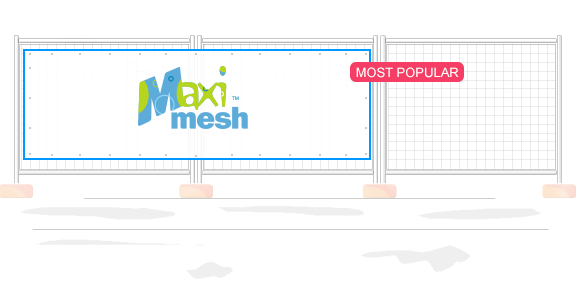 83% BlockoutSingle Panel Width. 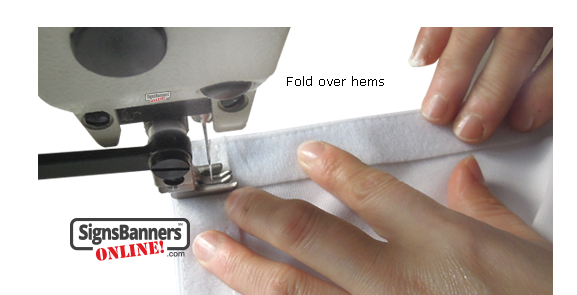 Versatile Size. Fits ALL fences. Special Offer - Was $61.42 ea. 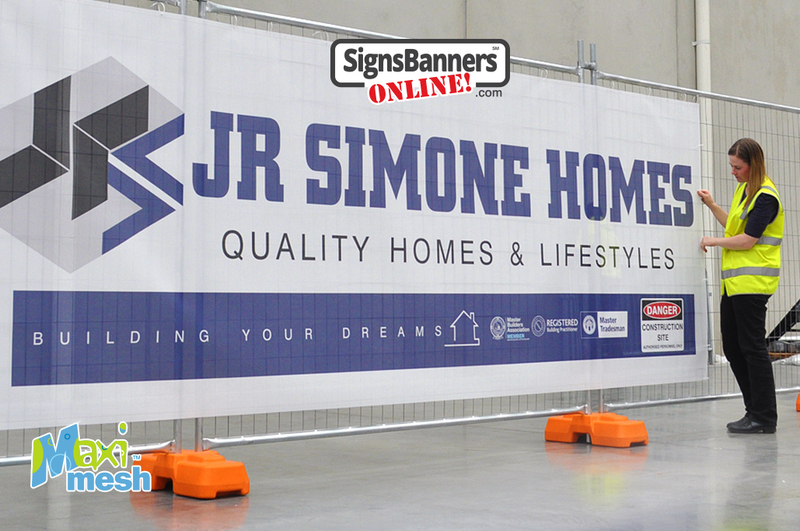 92" wide x 61" high Maxi-Mesh Banner Sign. Includes printing with your logos or insignia, double edging and SBO's famous never rust stainless grommets. Ready to use. Easy to install. Suits temp fence. Genuine 5yr ink. Includes Tax. Special Offer - Was $64.80 ea. Special Offer - Was $67.95 ea. 92" wide x 69" high. 83% BlockoutSingle Panel Width. 6ft Rail to Rail Height. Special Offer - Was $69.39 ea. 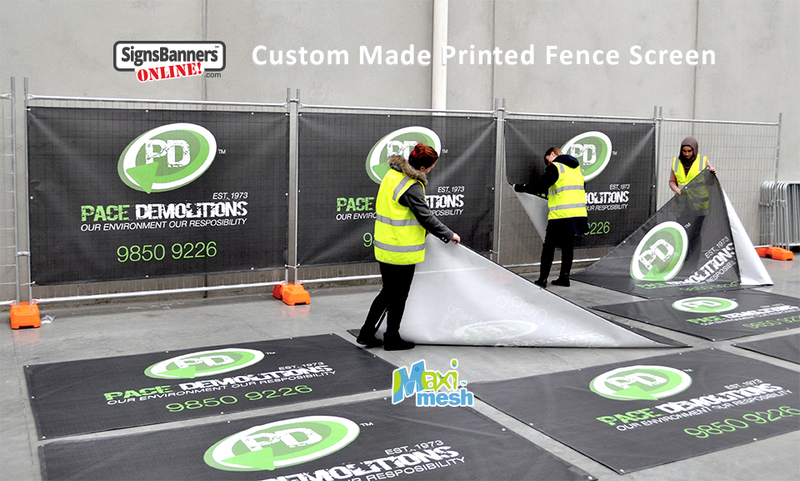 92" wide x 69" high Maxi-Mesh Banner Sign. Includes printing with your logos or insignia, double edging and SBO's famous never rust stainless grommets. Ready to use. Easy to install. Suits temp fence. Genuine 5yr ink. Includes Tax. Special Offer - Was $72.42 ea. Special Offer - Was $74.19 ea. 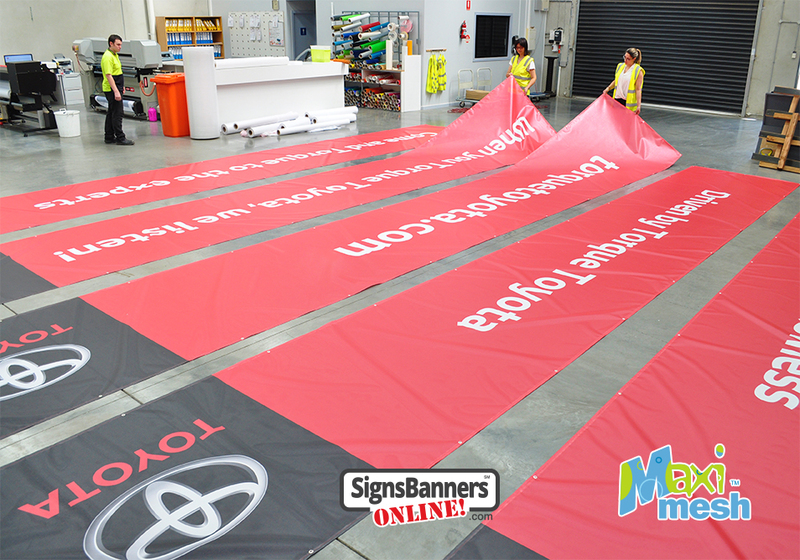 187" wide x 61" high. 83% BlockoutDouble Panel Width. Popular for house lots. 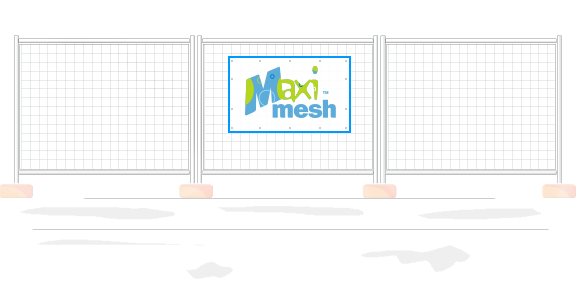 Fits ALL fences. Special Offer - Was $110.20 ea. 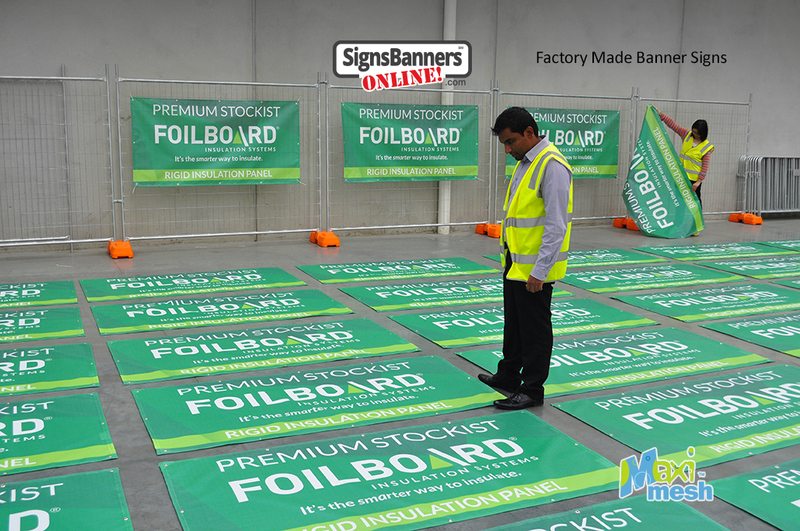 187" wide x 61" high Maxi-Mesh Banner Sign. Includes printing with your logos or insignia, double edging and SBO's famous never rust stainless grommets. Ready to use. Easy to install. Suits temp fence. Genuine 5yr ink. Includes Tax. Special Offer - Was $116.15 ea. 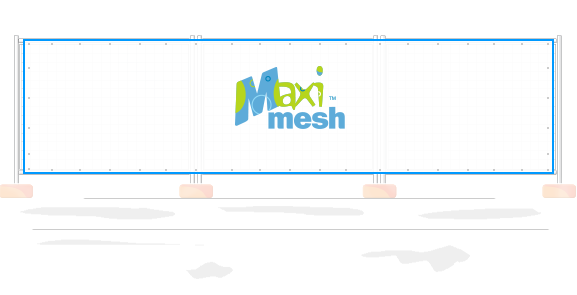 187" wide x 61" high Maxi-Mesh Banner Sign.Includes printing with your logos or insignia, double edging and SBO's famous never rust stainless grommets. Ready to use. Easy to install. Suits temp fence. Genuine 5yr ink. Includes Tax. Special Offer - Was $121.86 ea. 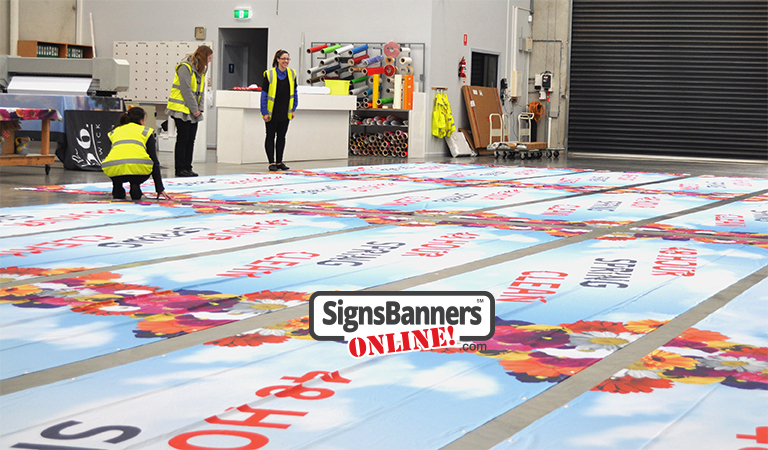 187" wide x 69" high. 83% BlockoutDouble Panel Width. 6ft Rail to Rail Height. Special Offer - Was $127.84 ea. 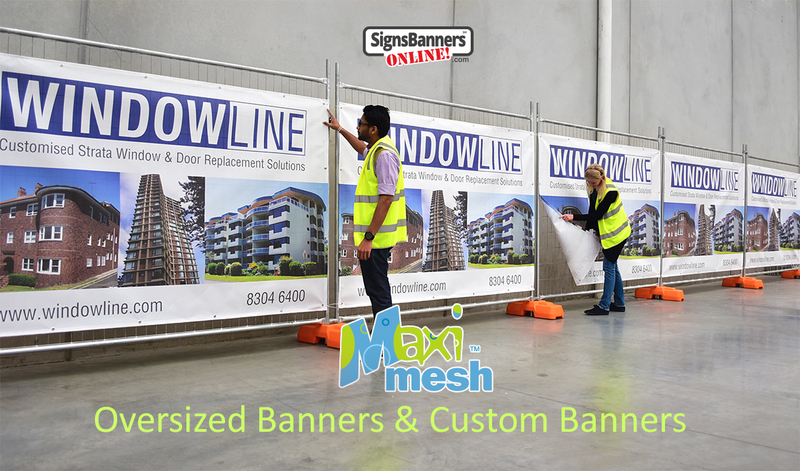 187" wide x 69" high Maxi-Mesh Banner Sign. 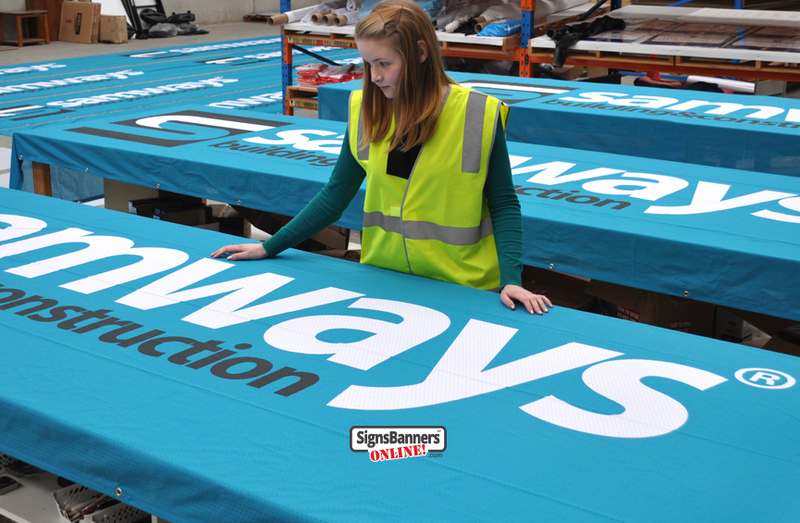 Includes printing with your logos or insignia, double edging and SBO's famous never rust stainless grommets. Ready to use. Easy to install. Suits temp fence. Genuine 5yr ink. Includes Tax. Special Offer - Was $134.71 ea. Special Offer - Was $141.70 ea. 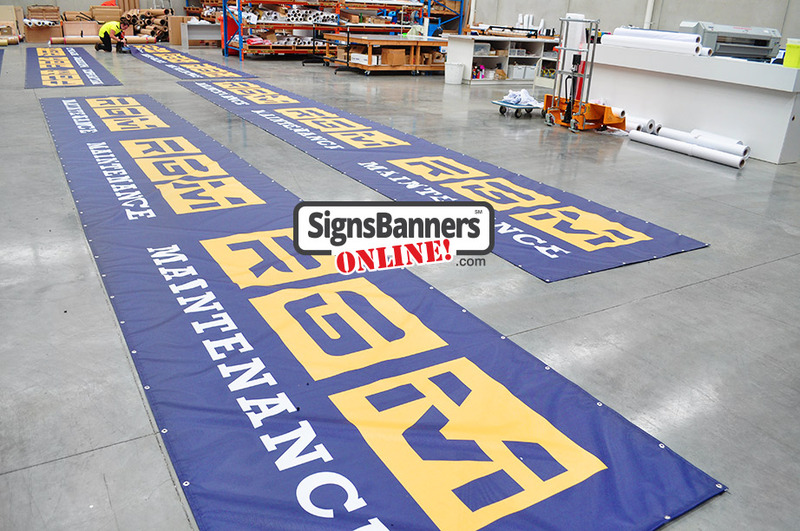 286" wide x 61" high. 83% BlockoutTriple Panel Width. 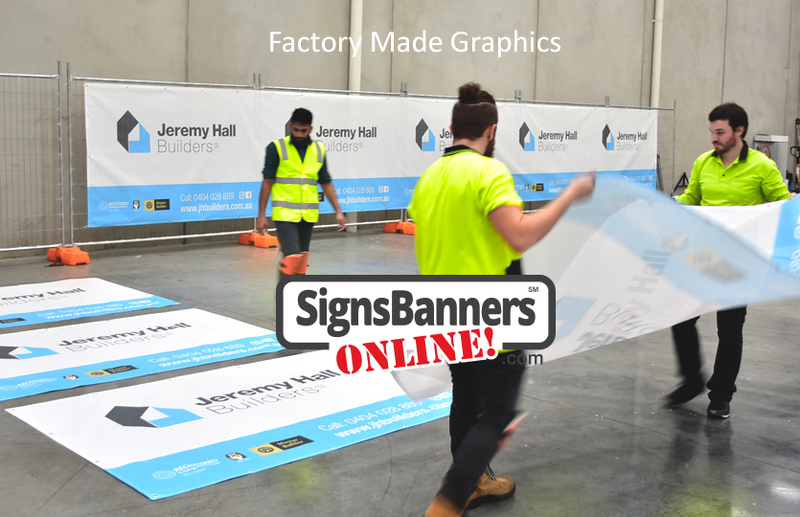 Popular for big logos and full graphics. Fits ALL fences. Special Offer - Was $142.70 ea. 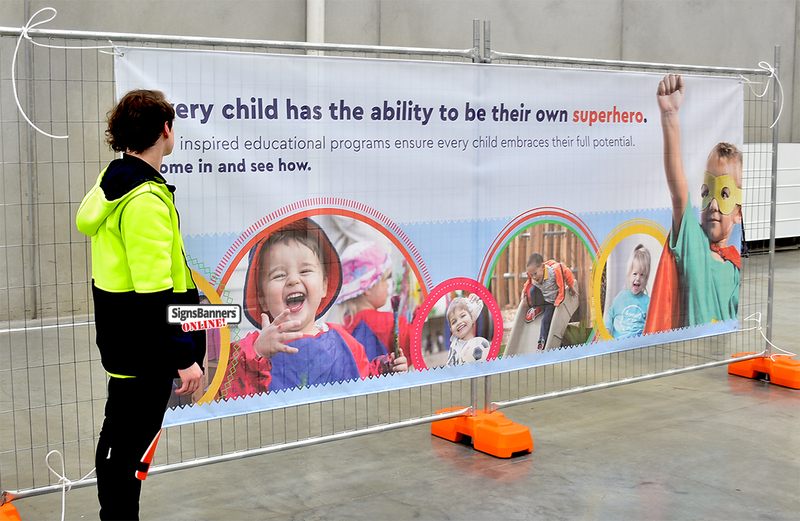 286" wide x 61" high Maxi-Mesh Banner Sign. 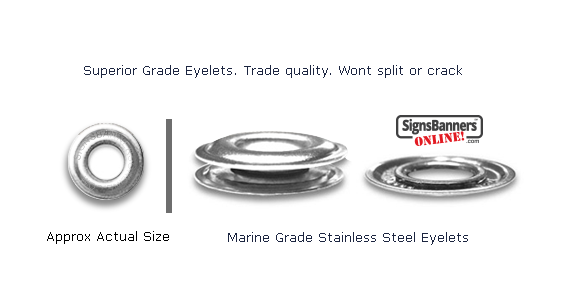 Includes printing with your logos or insignia, double edging and SBO's famous never rust stainless grommets. Ready to use. Easy to install. Suits temp fence. Genuine 5yr ink. Includes Tax. Special Offer - Was $151.67 ea. Special Offer - Was $152.65 ea. 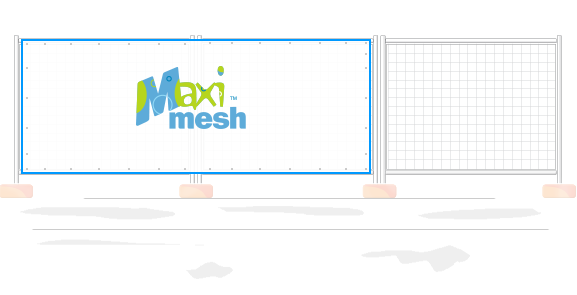 286" wide x 61" high Maxi-Mesh Banner Sign.Includes printing with your logos or insignia, double edging and SBO's famous never rust stainless grommets. Ready to use. Easy to install. Suits temp fence. Genuine 5yr ink. Includes Tax. 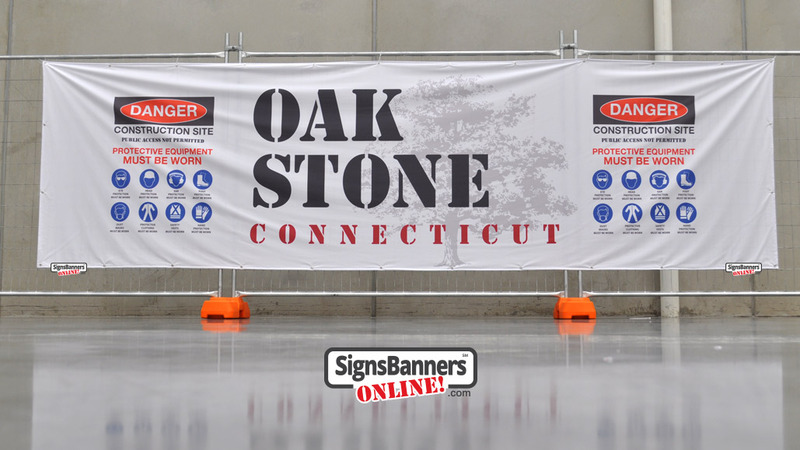 286" wide x 69" high. 83% BlockoutTriple Panel Width. 6ft Rail to Rail Height. Special Offer - Was $163.86 ea. 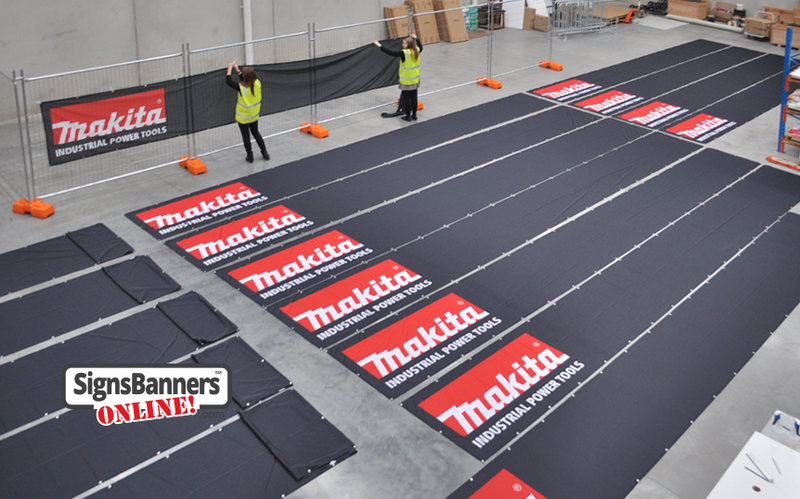 286" wide x 69" high Maxi-Mesh Banner Sign. 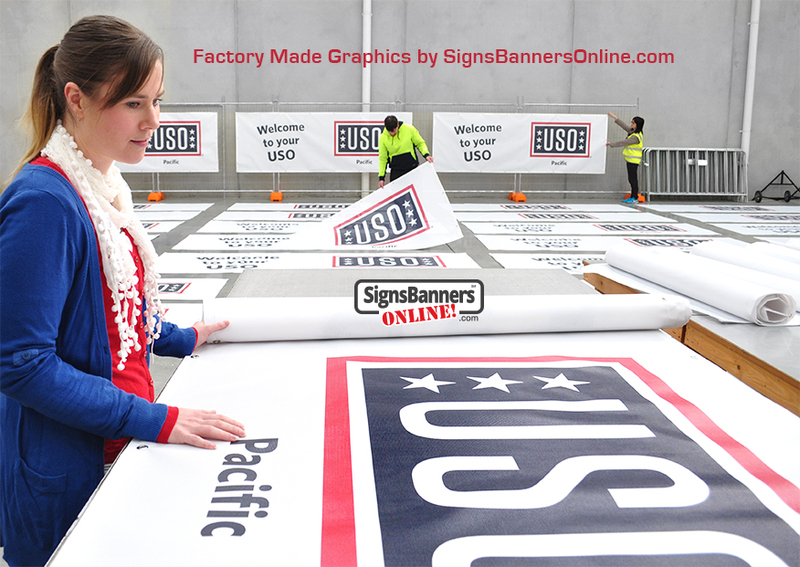 Includes printing with your logos or insignia, double edging and SBO's famous never rust stainless grommets. Ready to use. Easy to install. 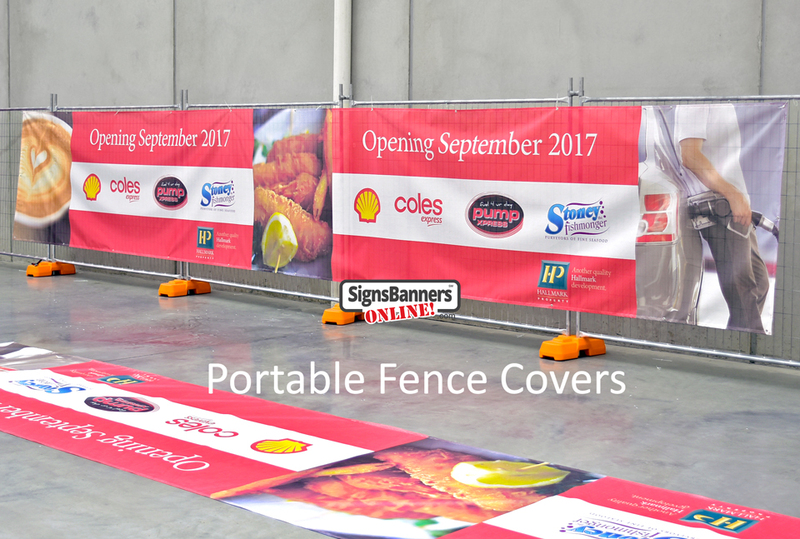 Suits temp fence. Genuine 5yr ink. Includes Tax. Special Offer - Was $174.44 ea. Special Offer - Was $184.52 ea. 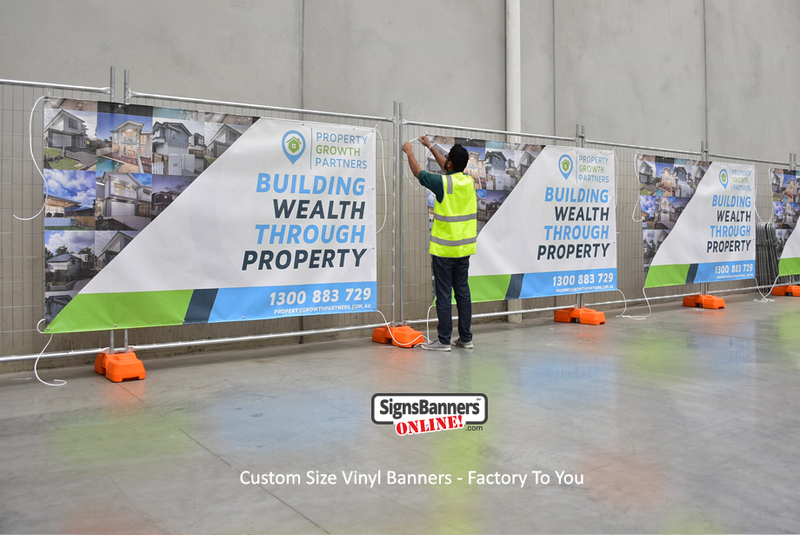 The value buying a preset mesh banner size offered by signs banners online are excellent price, quality and color and minimizes waste (offcut). It's the sensible way to buy. 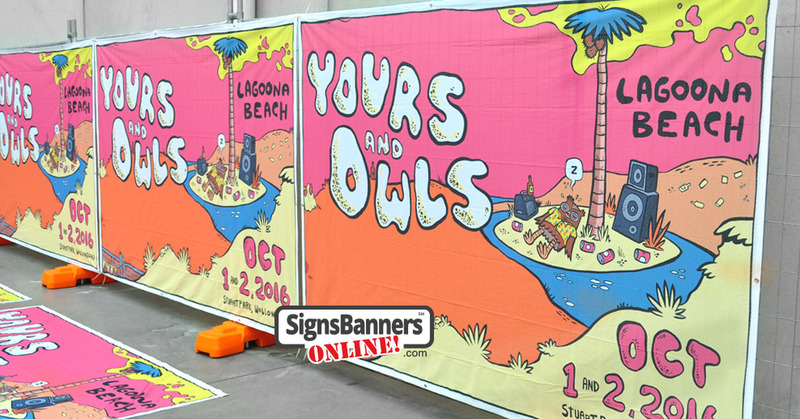 Factory made means we can supply any size and option customized to your clients needs just like these oversized mesh banners.